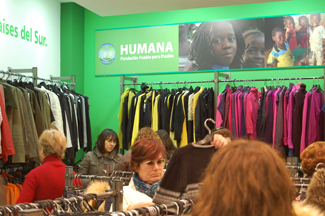 Humana People to People Foundation, today opened its eighth store of clothing and footwear used in Madrid. This new facility is located on Calle Alcala, 312, Metro Quintana. The new store is opening a new era in human tent with a more modern and fully adapted to the new corporate image of the Foundation, in which the messages of weight gain development cooperation and the importance of recycling textiles as tool to promote environmental protection. For this reason, both the exterior and interior design of the store has paid special attention to the images of the cooperation projects that are underway. Behind the counter, also has placed a 42-inch LED screen on which are projected video on the work of Humana, from the collection of used clothing to developing programs to promote the progress of communities in the South. Therefore, this place can be considered the 'flagship' of the Foundation in Madrid. The twenty first store in Spain Foundation has a sales area of ? 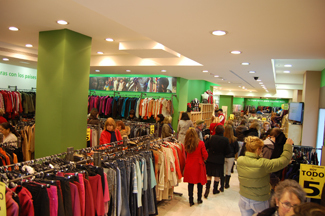 ?210 m2 on one floor where you can buy clothes and accessories for women, men and children as well as footwear and home textile. 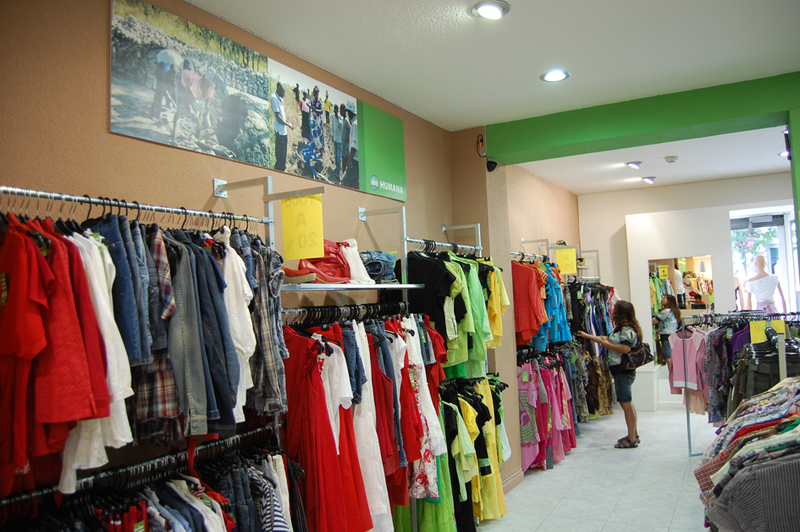 Overall, this establishment is aimed at three types of customers: first and foremost, those seeking a certain quality clothing at low prices, ie, people with average purchasing power with a taste for quality garments, such as young or immigrant population, and second, those who want to work with development cooperation projects of the Foundation, and third, those who seek unique and special clothing. On the occasion of the opening, all items for sale at the new store has a special price of 5 euros. The proceeds from the management of donated used clothing allow the financing of development cooperation projects in Africa, Asia and Latin America. Each kilo of clothing collected allowed to Humana in 2010 to allocate about 11 cents to these projects, noting that 1,500 euros is possible to train for a year at a primary school teacher, who will be teaching 50 children each course for an average of 30 years.